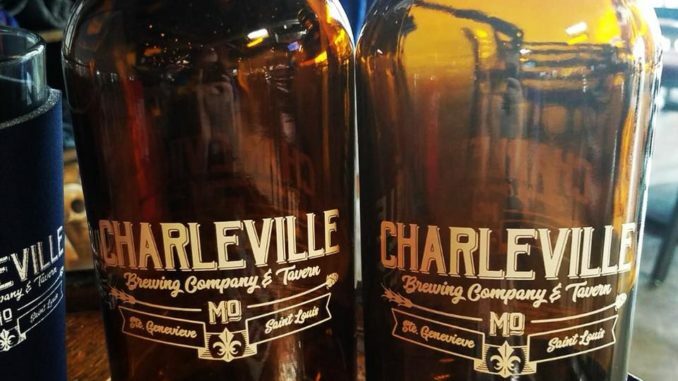 If there was an award that could be given annually to the brewery that evolves the most, it may very well go to the good people at Charleville. Charleville brand is well known in this area. The original location, which is still very much in operation in Ste Genevieve, Missouri, draws inspiration from the land and from family heritage. Owners Jack and Joal Russell pride themselves on offering distinctive, handcrafted wines and beers in a relaxed atmosphere. In 2017, the time was definitely right to expand to St. Louis. The idea of brewing in St. Louis goes back to when they started brewing originally in Ste. Genevieve. “If you’re not in St. Louis, then you’re not local, said Tait Russell, director of operations for Charleville and the son of its founders. In 2018, Charleville began starting a few can projects that included, Rye by Night, a Black Rye IPA collab with Heavy Riff, their popular summer beer, Long White Cloud Pilsner, and another favorite Bellows Shake Marzen. But, what can we expect in the new year of beer? We reached out to Russell to find out what he has planned for 2019. Others to follow later in the year. Charleville also has big plans to bring out some new small batch beers in cans and draft which might include but not limited to Pineapple Habanero Blonde Ale, Key Lime Lager, and German Chocolate Cake Stout. Their first collab of the year is going to become a staple in my beer fridge, and it’s out now. Head brewer Kevin Klein went to Crown Valley and brewed a New England IPA, which was recently released at Crown Valley’s Frosty Fest. Look for this brew on tap at both the St. Louis and Ste. Genevieve taprooms. The move to exclusive can packaging is consistent with the trends I’m seeing around the beer world. True, bottles continue to be the dominant package chosen by craft brewers, that dominance has is eroding, but not due to the decrease in sales of bottles, but the surging rise in the sale of cans. Smaller craft brewers, like Charleville, are driving this shift. Many of these brewers likely started out or like Charleville are installing a canning line versus a bottling line, whereas larger craft brewers started in an era when that would have been practically unheard of.